Equilibrium - Animal-assisted therapy and counselling. ​I am a qualified and BACP registered counsellor ​but with a background in public sector employment in an environmental field. I was drawn to train as a counsellor in 2011 after a life-changing personal experience convinced me to follow the course of becoming an animal-assisted therapist. I have particular experience of working with bereavement, loss, anxiety, depression and self-esteem issues. After working in the public sector for over twenty years, I have a special interest in alleviating work-related stress. My childhood school experience gives me a particular affinity with survivors of boarding school and other children’s institutions. I have always had a close connection with animals. The emotional support I gained from my animals as a child has lasted my whole life, and been indispensable on occasions of emotional crisis for me. In others too, I have witnessed the positive emotional impact that a connection with an animal can have at times of vulnerability. I am also a strong advocate of the restorative power of nature for mental well-being, and believe that a beautiful and peaceful setting can be conducive to the emotional healing process. I have an Advanced Diploma in Integrative Counselling (equivalent to Level 5). 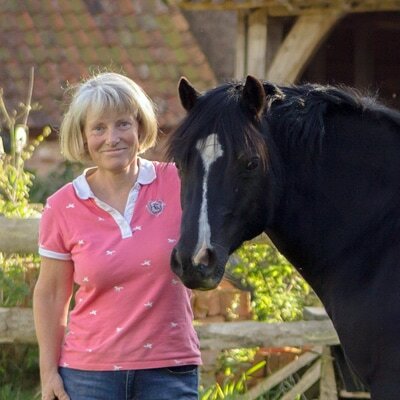 I am also a qualified practitioner in Equine-Facilitated Psychotherapy (BACP endorsed) and hold a certificate in Animal-Assisted Interventions. As a member of the British Association for Counselling and Psychotherapy (BACP), I undertake regular training and supervision and adhere to its Ethical Framework. I am also part of the LEAP network of Equine Facilitated Psychotherapy Practitioners, a member of the Society of Companion Animal Studies and a registered volunteer for Pets as Therapy. 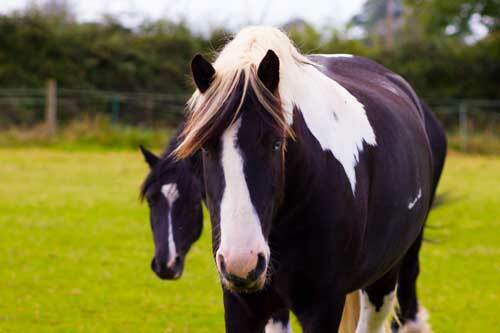 ​In individual equine sessions, I work with my two ponies – Spirit and Tommy. Spirit is a beautiful Welsh pony with a gentle and sensitive nature. Tommy is a handsome gipsy cob; his contrasting blue and brown eyes gives him a comical look, which matches his playful character. Despite their varying personalities, they form a strong team, and are both responsive to people in different ways. My two registered therapy dogs are Rufus and Teasel. 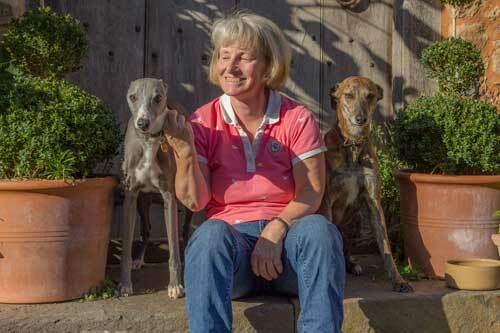 Rufus is a very fine ‘blue’ whippet with a calm and gentle disposition, and Teasel is a striking brindle lurcher who has a friendly and outgoing personality. Both dogs are used to working with a variety of clients in the counselling room. Under the auspices of the charity Pets as Therapy, they also visit the wards of a local rehabilitation hospital and a local hospice, where they provide comfort and cheer to patients, relatives and staff. Teasel has also worked with children's groups. The images on this web-site are illustrative of client sessions but do not depict actual clients, whose confidentially is of the utmost importance to me. Thanks to Craig Stone Photography for his stunning images.